...formed in the early months of 2008. Although the group is considered “new” to the area, its members consist of seasoned vocalists and musicians with many years of combined experience in Southern Gospel Music. Greg Deese (Pianist), Adam Beavers (Percussionist), Scott Townsend (Bass) and Josh Lollis (Lead) had played and sang together with The Joymasters in previous years and set out to establish a new music ministry in Dallas, Georgia and throughout the southeast. Mike Whitaker (Tenor) and Chris Griffith were co-founders of The Pioneers Quartet that traveled the southeast from 2001 to 2006. Mike and Chris were invited to join ZION at its inception in early 2008. Chris Griffith has since left the group and we've added vocalist Kevin McBrayer. With the vocal positions established, the band was completed with Tom Panter (Rhythm Acoustic) and Bo Gray (Bass Guitar). It was quickly evident that God’s hand drew ZION together. 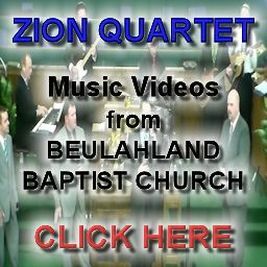 The fellowship between the men of ZION and the personalities of each blend together in brotherly love and a spirit of joy. In the age of music tracks, it is a blessing to offer our listeners talented musicians who deliver excitement and enrichment to each program. It is our diligent effort to promote a respectful and encouraging atmosphere in any event in which we are privileged to participate. 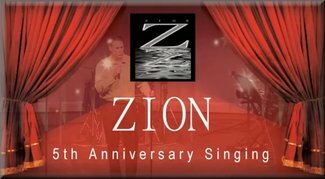 ZION’s desire is to encourage Christians and proclaim the Gospel of Jesus Christ to the lost through testimony and song. 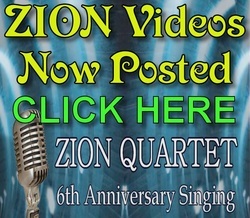 With a combination of Traditional Southern Gospel and Contemporary selections, it is our prayer that you will receive a blessing from the music of ZION.